A 2014 North Rockland High School graduate and West Haverstraw, New York, native is providing a critical maintenance capability to the U.S. Navy’s submarine force in the Pacific as part of a hybrid crew of sailors and civilian mariners working aboard the expeditionary submarine tender, USS Frank Cable. Electronics Technician 2nd Class Omar Oms is serving aboard the Guam-based submarine tender, one of only two such ships in the U.S. Navy. The Frank Cable and its crew provides maintenance and resupply capabilities both in port and at sea. Oms credits success in the Navy to many of the lessons learned in West Haverstraw. “It really doesn’t matter what the problem is, if you put in a little elbow grease, you can overcome any problem, with a little hard work and cooperation,” Oms said. Guam is also home to four Los Angeles-class attack submarines, Frank Cable’s primary clients, but the ship can also provide repair and logistic services to other Navy ships like cruisers and destroyers. The submarine tenders provide maintenance, temporary berthing services and logistical support to submarines and surface ships in the Pacific Ocean as well as the Persian Gulf, Red Sea, Arabian Sea, and parts of the Indian Ocean. With a crew of more than 600, Frank Cable is 649 feet long and weighs approximately 23,493 tons. 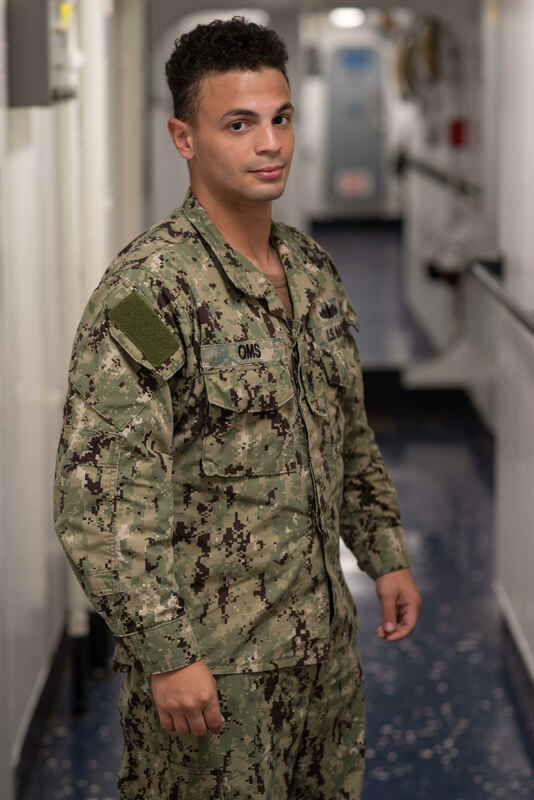 Though there are many ways for sailors to earn distinction in their command, community, and career, Oms is most proud that he became an entrusted leading petty officer responsible for 30 people, a work center supervisor, and a lab manager for a calibration facility on Guam. “It puts me in a position to mentor others both professionally and personally, it speaks volumes to me that I have earned their trust,” Oms said.